In the year 1772 the first suggestions of raising water by means of a Hydraulic RAM were made by John Whitehurst, but it did not become a practical machine until Joseph Montgolfier, the French inventor of the fire balloon, succeeded in 1796 in making an automatic RAM. The general principles involved have become the basis for all the hydraulic RAMS since that time, although subsequent improvements by Green and Carter have made them more highly efficient. 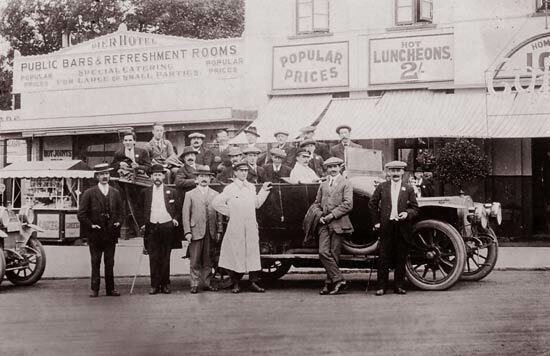 The firms outing in 1906? Early in the nineteenth century Mr James Easton purchased Montgolfier's patent and introduced the machine into England, also purchasing the fledgling hydraulic RAM business of John Whitehurst and, as the founder of Messrs. Easton & Amos (known at various times as Easton, Amos & Anderson and as Easton, Courtney & Darbishire), was responsible for the installation of large numbers of these machines all over the British Isles, in fact more than 1000 prior to 1860. We acquired this old-established business in 1929, having ourselves been actively engaged in the manufacturing and installation of the well known Vulcan and Vacher RAMs for well over 100 years.